Do you sometimes feel all your friends are all over the place? No one is close by for a quick coffee chat? Well, that’s what it feels like for me every once in a while. So why don’t you join me and Lecy for a virtual coffee date and let’s chat a bit about what is going on. 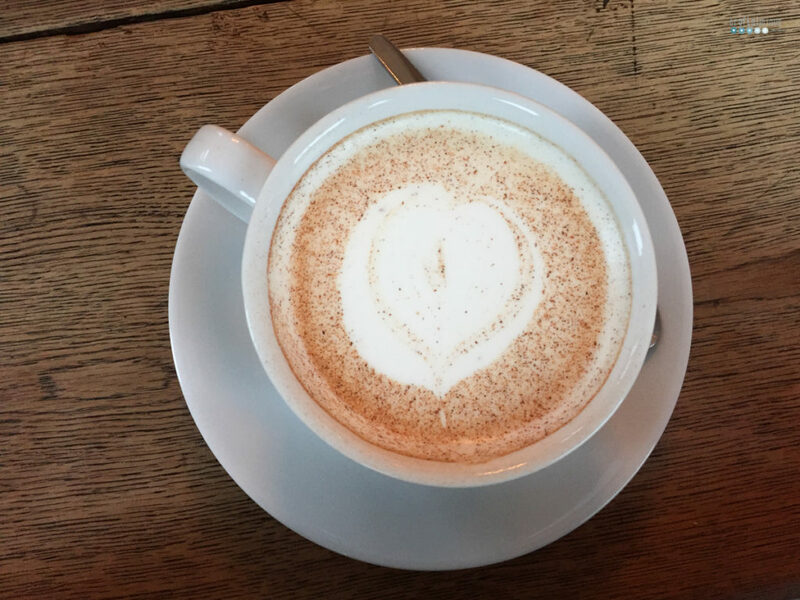 I have a few things to share and I am glad you have time for a virtual coffee date. go ahead and order an earl grey tea with a dash of milk. It seems like I can never get enough. And then I would quickly tell you that my favorite green tea blend is no longer available. It was a service where I could mix it myself and I spend years perfecting it. So sad. Not even a heads up so I could stock up. enthusiastically tell you about my husbands friend, a Dominican film producer, who premiered his movie “Holy Beast” at the Berlinale yesterday. It’s the first ever Dominican movie shown at the festival. It was so great to share this moment with him and see him so proud. Something about people achieving their dreams just makes me happy. also tell you very enthusiastically that I have recently landed my first photography job (outside of family) and will be doing a portrait shoot today. Fingers crossed all goes well. They will be needed for a book publishing. I am really proud. tell you about my fifth wedding anniversary. Can you believe it’s been 5 years since our winter wedding? It feels like nothing has really happened in the last five years but then so much. One thing hasn’t happened for sure and that is winter. Since our wedding there was no decent winter in Berlin. I haven’t been able to get out my ice skates. We had hardly any snowfall. This year I didn’t even crack out my winter jacket. Global warming is real my friend. Maybe I need to book a trip to Scandinavia rather urgently to get my snow fix. need to talk about books. I have been reading a lot again. I have set – for the first time ever – a reading goal list for 2019. My plan is to read 40 books and I already have read 8. Most of them were awesome but the last was really annoying. So I was wondering and wanted to ask: How do you handle a bad book. Do you keep on reading or do you stop? Also, do you review bad books? I always try to review on Goodreads but mainly for myself so I can remember. Before we leave our coffee date I would ask what is going on in your life. What are your next big plans. What struggles have you came a cross and what book have you read. Then we would hug and wave good bye. Congrats on the photo job! That’s exciting. I hope it went well. Thank you San. The job went well and the client is happy. And are we getting older or why is time flying faster every time I get out of bed?! Earl Grey is one of my favourites too! Happy anniversary to you and your husband! With bad books, I used to keep on reading but lately I’ve decided why waste my time and have let some go if I wasn’t enjoying them. And, no I don’t think it’s too early for Easter crafts if you want to do them! Thank you Bella for the anniversary wishes. Yeah I know I should have just dumped that book and quite being annoyed. I guess I always think it will get better and want to give the author a chance. But I should just pick up a new one. Thanks for stopping by. Oh I am sure we could talk books forever. I am getting better in not finishing every book but some are just so weird I need to know if they get better. The photo job went well. Thank you. Bad books… it depends. If I think the book is somehow important or that there will be an overall payoff, I’ll continue – maybe it’s a popular book & I want to be able to discuss it with a valid opinion, or it’s an historical one & I feel like I need to make it through, even if I don’t enjoy it. I always feel bad writing reviews or giving one- or two-star ratings on Goodreads to bad books, because I know someone still put love & care into writing them – but I figure that it may be helpful to other readers, so as not to waste their time, so I will usually write a review that specifies exactly what I didn’t like about it. I try to make my reviews very specific – this book was marketed as contemporary lit but feels more like a romance novel, this book was a little bit too academic for me, this novel was felt a little disorganized to me or even tackled a sensitive topic in a way I found offensive (like with “13 Reasons Why”)… that way, people can take into account the specifics of what I disliked & decide for themselves if it will impact or apply to them. Thank you for the insight on how to respond to bad books. I also think other readers should know how to invest their time but I probably could be a bit more specific in my reviews on what was it that bothered me. I will take that advice to heart. And I do have an appreciation for writers – all the long ours crafting a book and then I read it in a day or two (and might not even like it).